Mars is not the final frontier (space is, of course...). However, Mars is an interesting place, the target of exploration (unmanned thus far) and even a possible place for a future expansion of the human race. Depending on technological breakthroughs such as radiation protection and funding (government or private), humans may reach the red planet as early as the next few decades. With such discoveries as non-polar water on Mars, all the knowledge accumulated by Spirit and Opportunity, Mars Reconnaissance Orbiter and others, and even acknowledged in the Augustine report, Mars has increasingly gained a high priority as a human destination. The cold hard truth regarding Mars exploration is that a manned mission to Mars entails a lot of unknowns even if money was no object. First, getting people from Earth to Mars requires more than just a big rocket. There are other unresolved aspects such as cosmic radiation. Other aspects relate to human psyche and how people will behave and cope in small confinement for 6 months, not to mention medical aspects such as bone and muscle loss due to long duration in zero (or micro) gravity. Each of the above are researched in different ways. Thanks to the ISS there is quite a lot of data in regards to micro gravity effects and some about spending extended periods of time confined to a small habitat shared with other people. Others still require more research and solutions. One of the ways to improve the odds of such a mission (which will undoubtedly be one giganticnormous step for mankind) is to simulate the Mars stay here on Earth. It's obviously a lot cheaper than sending anything to Mars, and provides some pieces of the puzzle. Unlike NASA, which researches a lot of space and Earth related aspects (though definitely interested in Mars), the Mars Society and the Mars Institute are organizations that focus solely on Mars. Among other activities, they fund analog Mars conduct Analog Mars research in several locations in cooperation with other organizations such as SETI. Analog Mars is not the opposite of digital Mars... Those are places on Earth that are like Mars in some way - environments useful for testing tools, procedures and human interaction without the expense and risk involved in space travel. Each of those places was chosen for a specific resemblance to planet Mars. The Mars Society currently has two operational simulation facilities - FMARS (Devon Island, Canada) and MDRS (Utah, USA), with others in various stages of planning - EuroMars (Europe), Mars Oz (Australia) and MMARS (Chile). An informative overview of FMARS and MDRS was recently posted in The Sky is not The Limit blog by Laksen Sirimanne. Laksen is taking part in MDRS-88 which started today. The Mars Institute is involved with HMP (Devon Island, Canada). Other stations and projects include MARS (Axel Heiberg Island, Canada), AMASE (Norway) and PLRP (A lake that looks like Mars), Mojave (California, soil like on Mars) and IceBite (Antarctica). Of all the research stations, MDRS is the closest to where I live, about a seven hours drive. 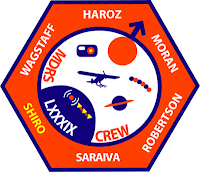 I became familiar with it through Brian Shiro, who is the commander of MDRS-89. MDRS-89 starts on January 23rd 2010 and will last for two weeks, and I intend to visit it on Febuary 5th for taking pictures and interviewing the crew at the end of their mission. I hope I will take part of a future MDRS mission. Contributing to finding solutions and helping, if only a little, to advance science and get us closer to planet Mars is very compelling. I just came across this. I was aware that you were going to post on the Mars analog research stations but I had not seen this before. Looking at the date of the post it appears that I had just come to the MDRS and so was out of mainstream email and internet contact. Great post. Your later post on your actual visit to the MDRS with your sons was just great. Just perfect. Please keep up your blog. I enjoy it very much.